When I visit a country I'm always interested in history and I love to visit historical sites. 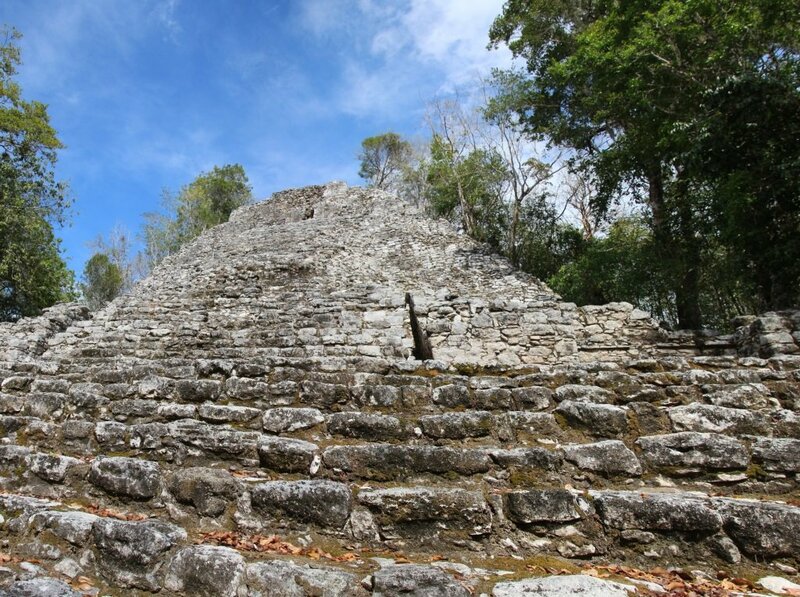 In Guatamala, Honduras, Belize and Mexico there are Maya temples to discover. The most charismatic buildings are the pyramids with the steep steps. While visiting Yucatan, a province in Mexico I wanted to see them all! My husband Timo had to force me to choose a few. We had a rental car, which made all the Maya sites easy to access. 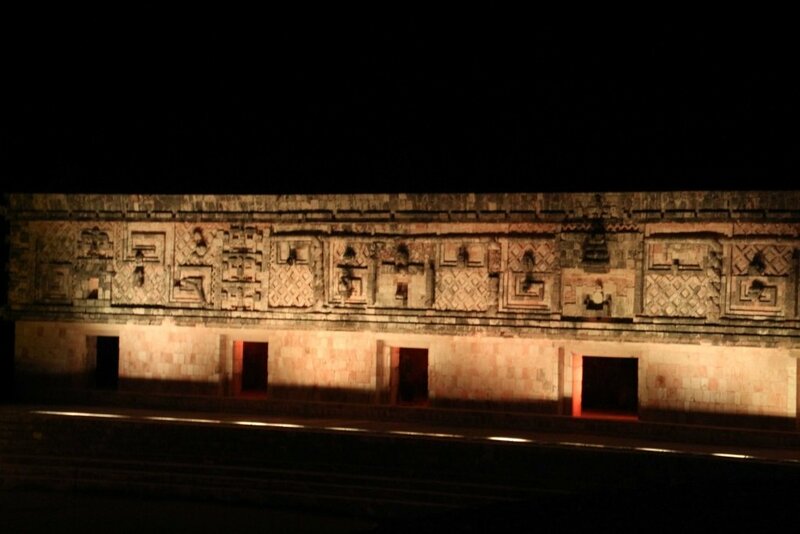 This is my top list Maya temples of Yucatan. After our visit at Rio Lagrossa and Las Coloradas we made a stop at Ek Balam. Ek Balam is only 30 KM from Valladolid. 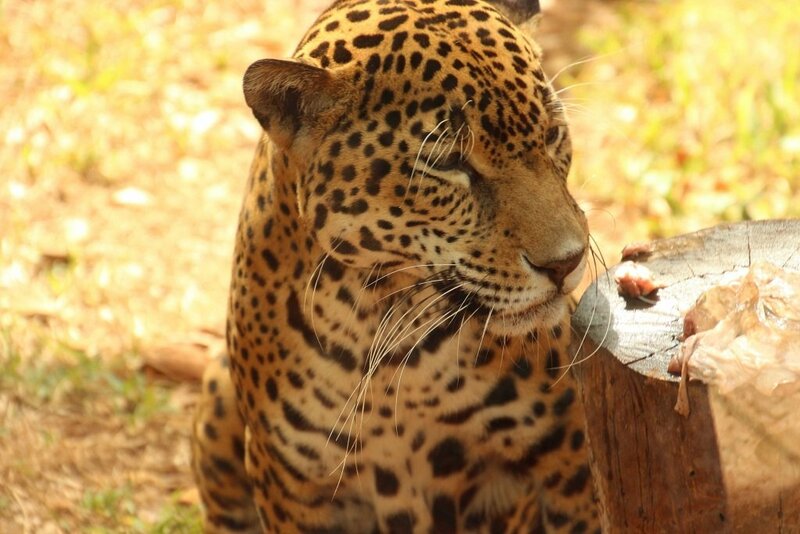 The meaning of the name Ek Balam is ‘Glorious Jaguar’. Ek Balam was occupied from 600 A.D. to 900 A.D. Only to rediscover at late 1800s. In the late 1980s they finally mapped this Maya archaeological site. The 12 square kilometers' area has 45 buildings from which the Acropolis is the most impressive with around 30 meters high. You can climb this massive building. From the top you’ll have a nice view. While Ek Balam has not numerous visitors like Chitze Itza, this site is well worth a visit due to the nice details and the climbing of the Acropolis with its beautiful view. 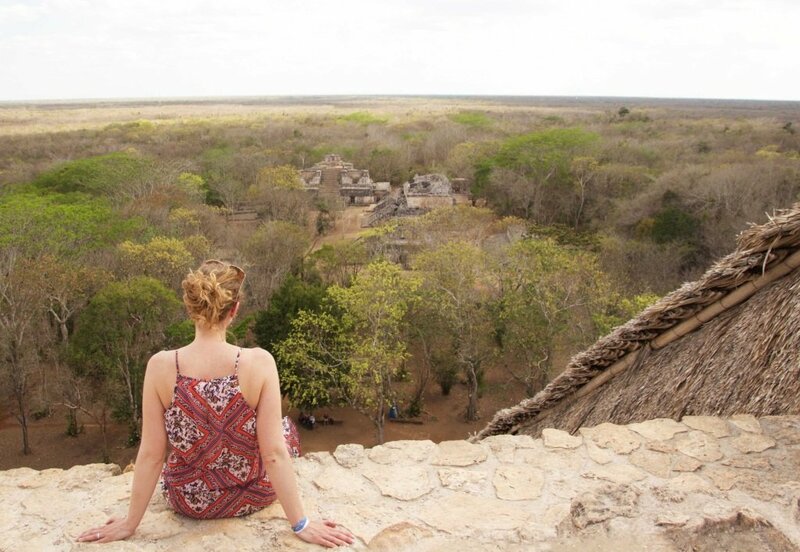 There are a few people around and you can take your time to discover Ek Balam. 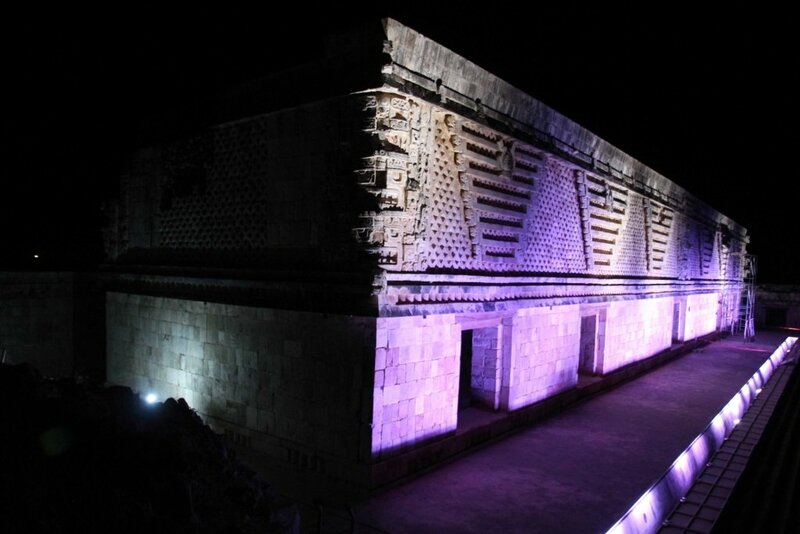 Chitzen itza is probably the most famous Maya ruin and on it is on the list of UNESCO World Heritage site. It’s settled close to the small town Piste and about 45 kilometers East from Valladolid. Chitin Itza was found around 600 A.D. And it remained important until 1100 A.D. 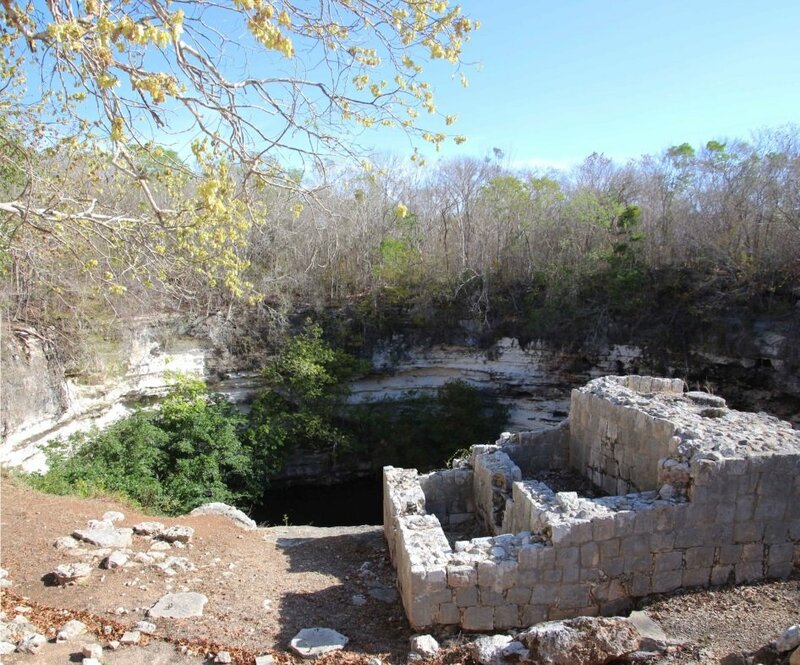 Some important buildings are the ball game ‘Juego de Pelota’, the well restored Kukulcan pyramid, the Cenote Sagrado, where mostly woman and children got scarified and the group of thousands columns. We arrived Chitzen Itza at 8AM and I strongly recommend doing the same. 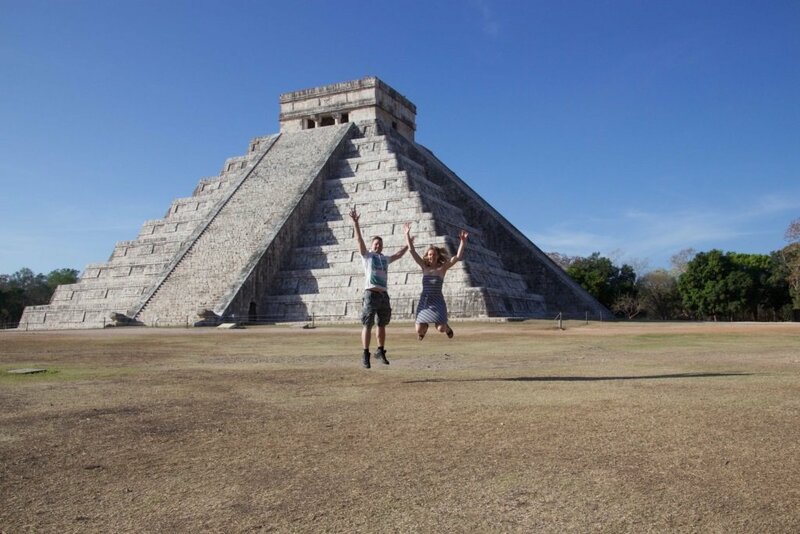 The big pyramid Kukulcan is the most photographed on the site and we managed to get there as first! Quickly we made pictures before the big herd was coming in. When we left Chitzen Itza around 10 A.M., a lot of souvenir stalls were settled all around the Heritage site. Many people wandered around Chitzen Itza and it was really crowded. Just go early if you want to feel all by your self. Kabah or Kabaah is a Maya archaeological site in the Puuc region about 100 kilometers south from the city Merida. Kabah means ‘Strong hand’ in the Mayan Language. The area was inhabited 3rd century, but the buildings date from 9th century. The style has been used is Puuc style. This Maya ruin is best known for is well preserved palace which has complete covered in stone masks. The details of the long-nosed rain God Chaac is an unusual and unique Maya art. From 1990 they started to restore buildings. Across the street there are more ruins to see. Those are not restored. The most interesting part there is the Arch of Kabah. If it wasn’t very hot this day, I would have explored a little more. But I definitely loved this detailed ruin! 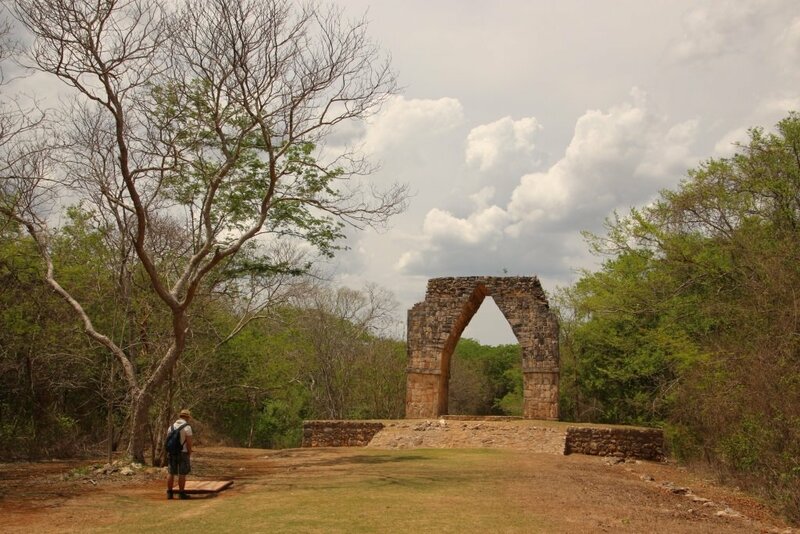 Not many people were exploring this Puuc style ruin and the entrance fee I think has good value. 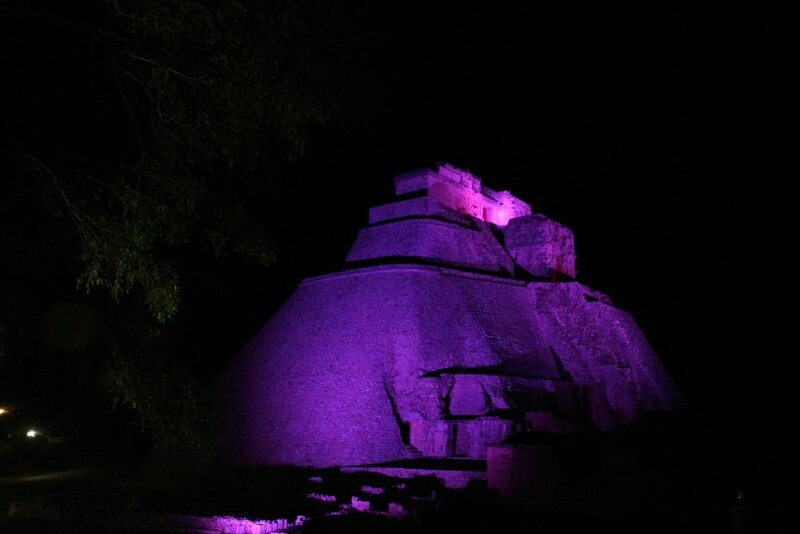 Uxmal is located 80 kilometers South of Merida. The name suppose to mean ‘Three times build’, but they are still unsure about that. 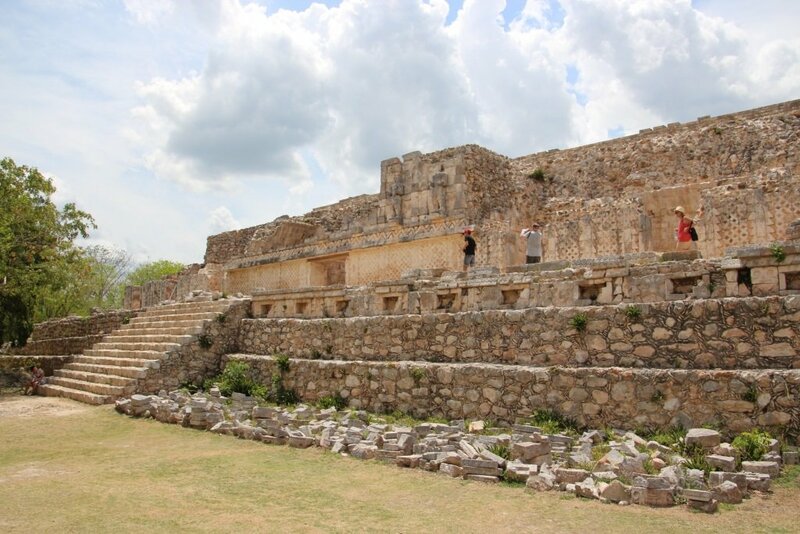 Uxmal was founded about 500 A.D. But got more important between 600 and 900 A.D. It covers about 150 acres. The highest building is called Casa de Adivino (pyramid of the wizard) and is almost 40 meters high. The oval shape is more unusual. All the buildings on this site are in the Puuc style with beautiful decorations. This Mayan ruin is also on the UNESCO heritage site. 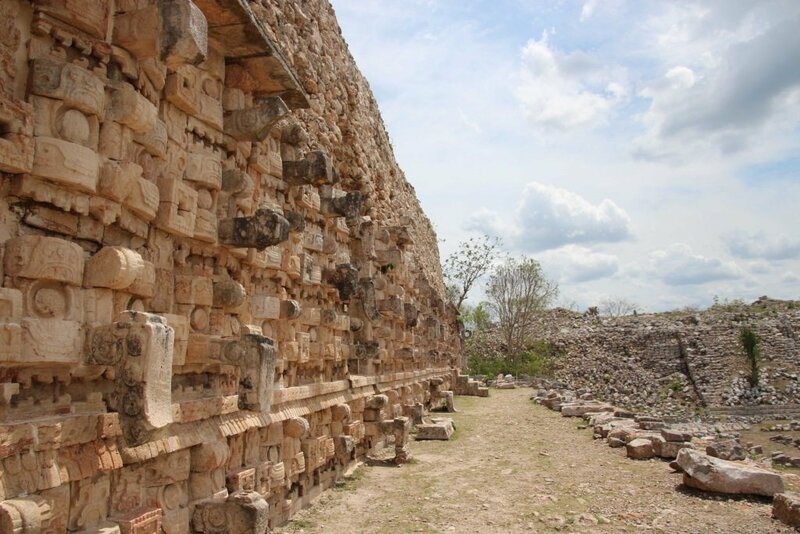 Uxmal and Kabah are on the Puuc route. You can visit it on the same day as it is only 20 kilometers apart. We stayed in Uxmal Resort Maya. 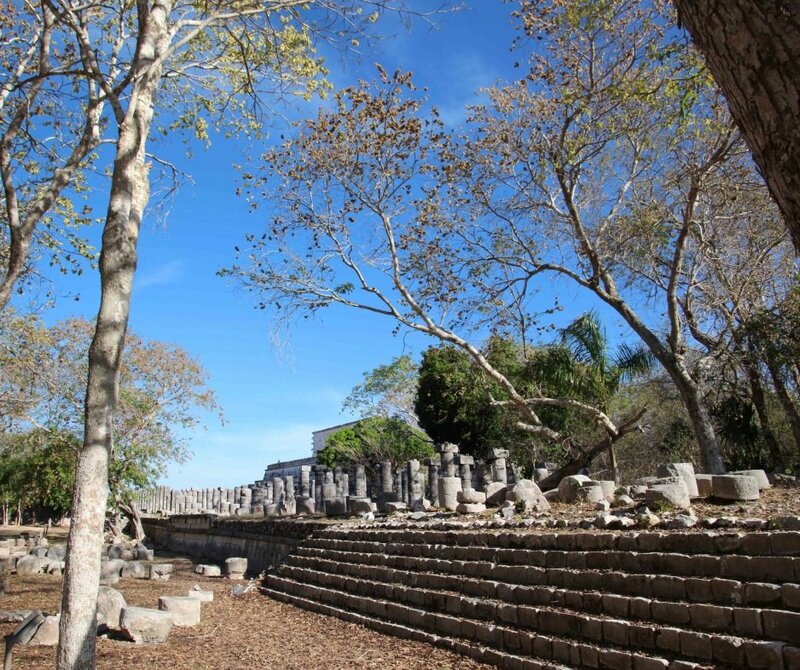 The location of the resort is really quiet and you'll have a view over Uxmal ruins. In the far distance. The swim pool is really comfortable at this resort! We skipped the day visit and got to the light & sound show which started at 8 P.M. The most important buildings light up in different colors. The quality is not very high and please note that the story told is only in Spanish. There is not translation available. Due to my poor Spanish language skills, I only could understand a little of the story been told. So after 10 minutes, it got a little boring. Not a Mayan ruin, not even an historical site, but I really think this one is worth a mention! 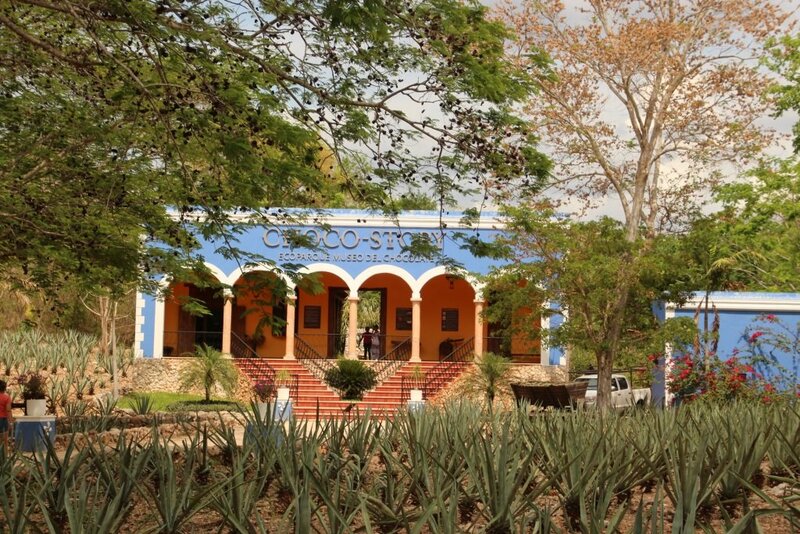 Accros the street of Uxmal there is a Chocolate museum. 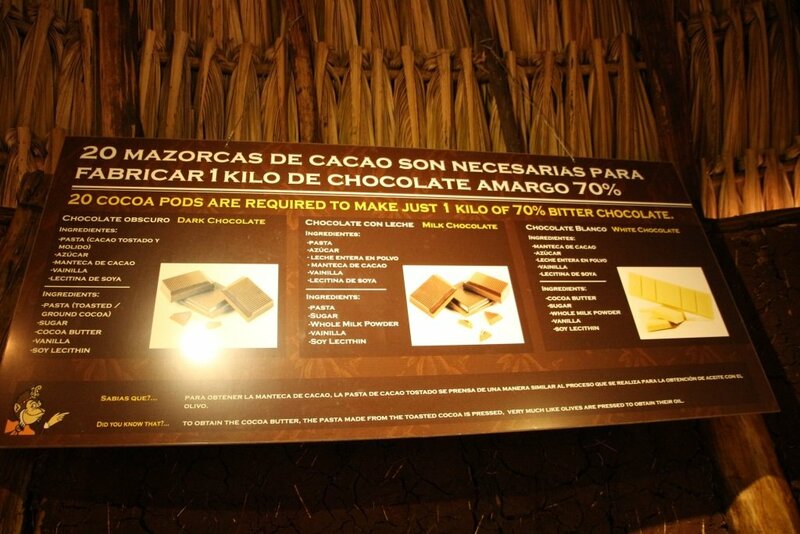 The museum is very interesting because it not only explain the origin of the chocolate, it also relates it to the Mayan culture and how they use cacao beans in their daily lives. The museum is settled in a beautiful garden. They have a shelter for abused animals. You can see a jaguar and some spider monkeys. 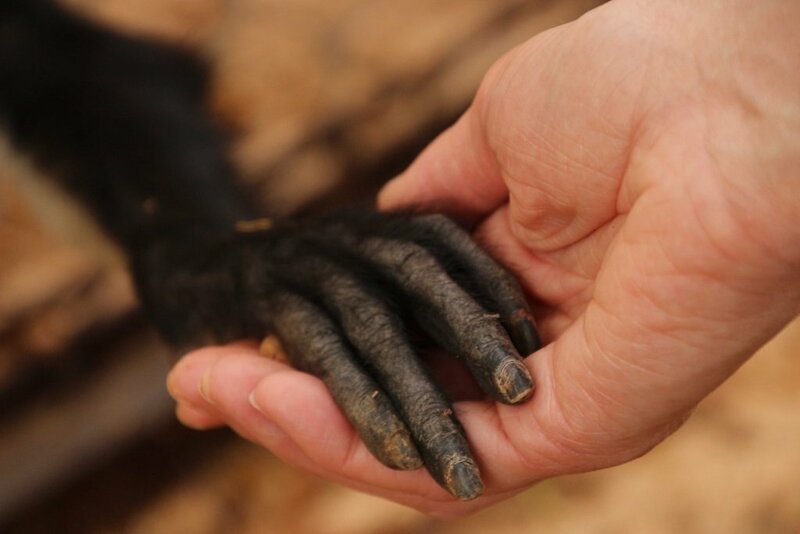 For those animals they are building a new shelter to give them more freedom. Just take your time and visit this lovely Chocolate museum, you’ll love it! 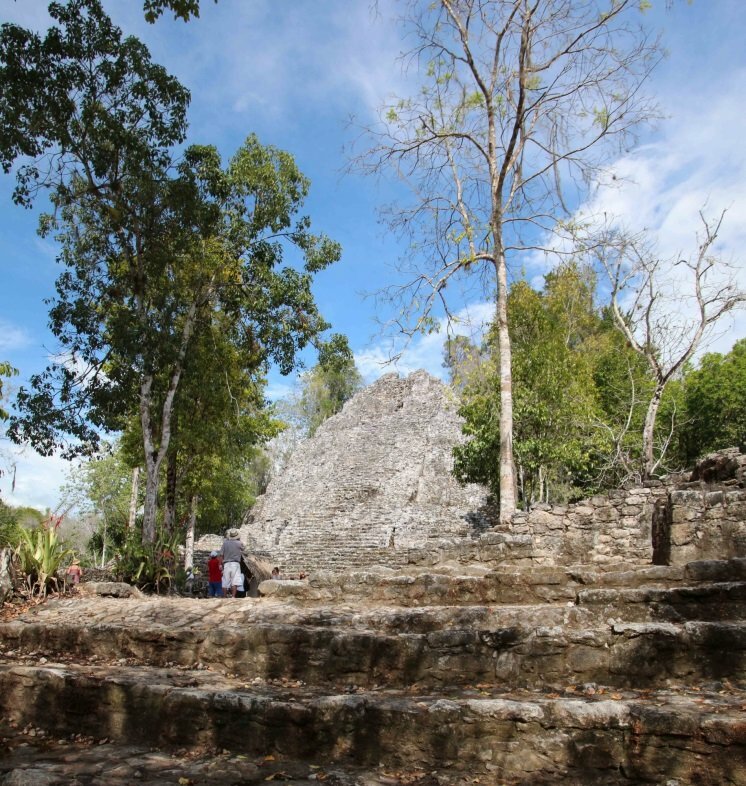 Coba Maya ruins are settled on road 180 from Valladolid to Tulum. 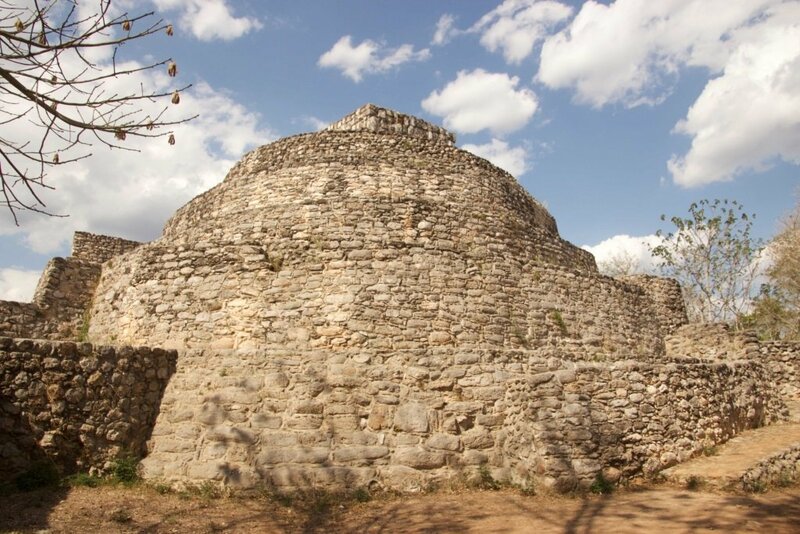 The most constructions in Coba seemed to be made in the late Classic period, about 500 to 900 AD. But the first people settled between 50 BC and 100 AD. The city is about 80 square kilometers, settled in the jungle. 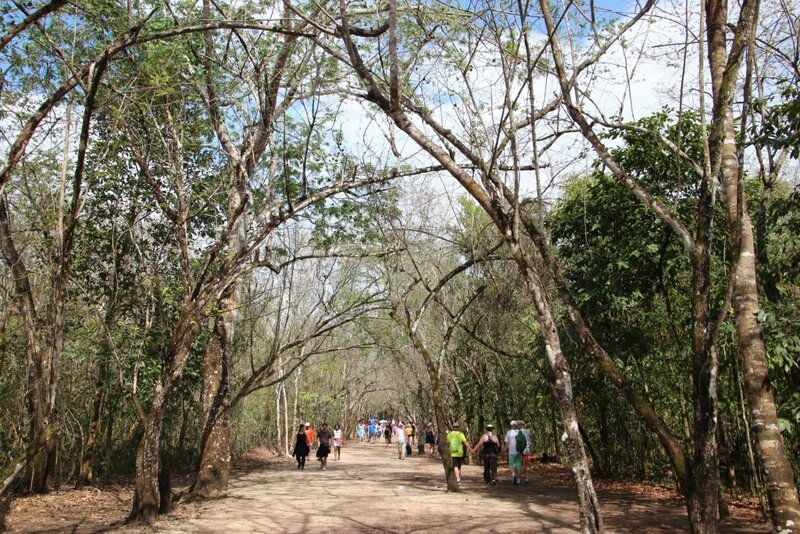 After the entrance, it is a 2 kilometer walk to the archaeological site. To get around at this site most people rent a bike. 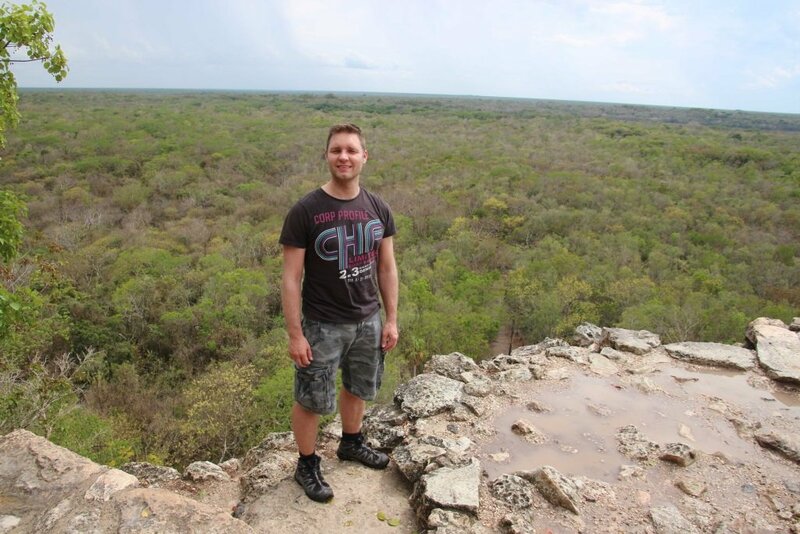 Because most of Coba is in the jungle, you don’t have to walk in the sun. We didn’t rent a bike and just walked around, which was perfect. There are no facilities after the entrance, so make sure you’ll bring plenty of water. 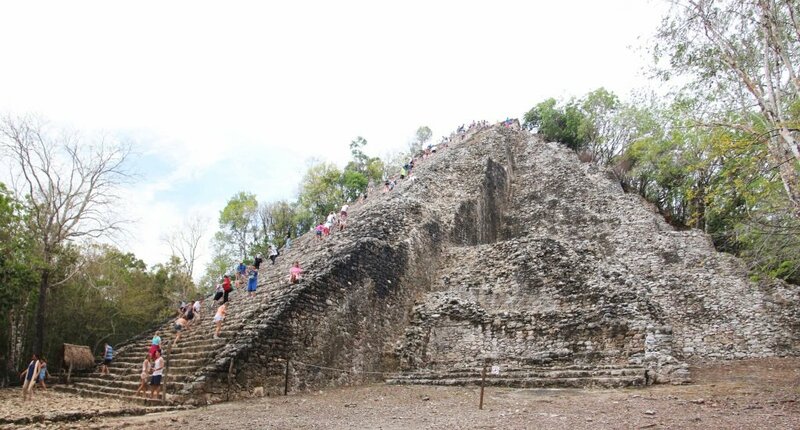 Coba has the second tallest pyramid of Yucutan, named Nohoch Mul, which reaches 42 meters and only exceeded by Calakmul close to the Guatemalan border at 45 meters. 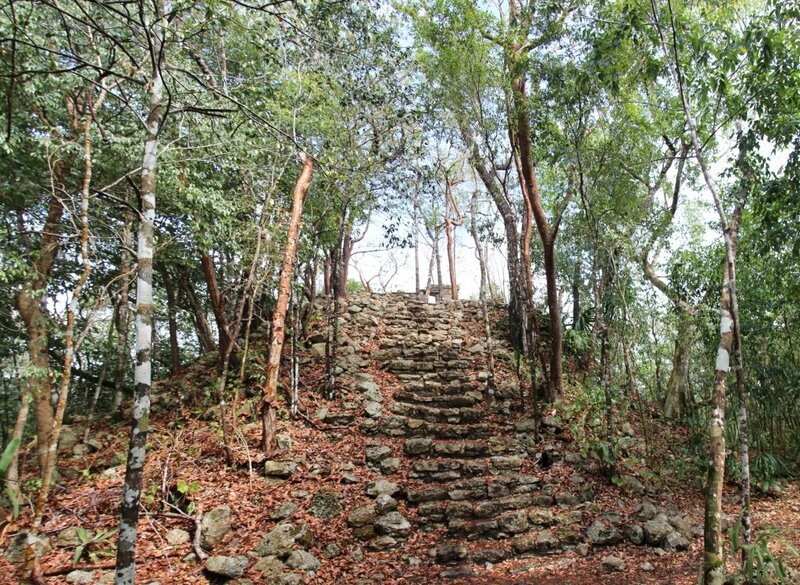 With about 120 steps you can climb this pyramid and gives an excellent view over the jungle. 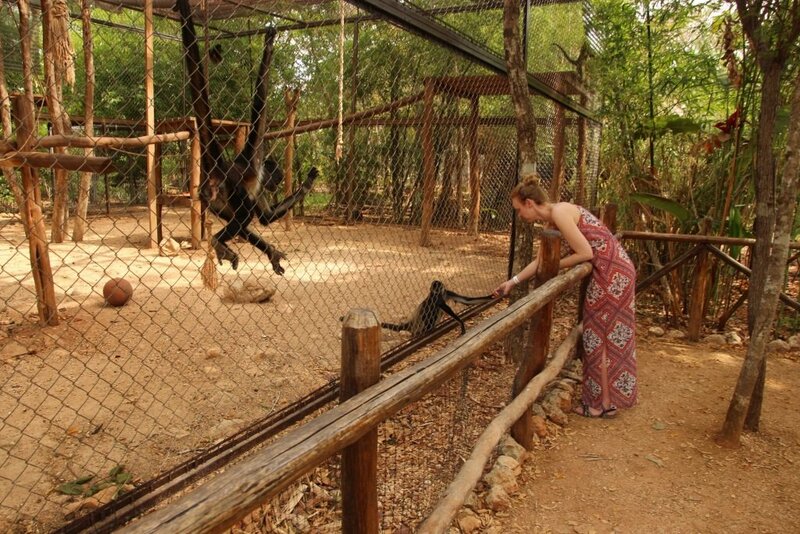 Eyes and ears out, you might spot some howler monkeys or spider monkeys here! Unfortunately we were not that lucky. The setting of Coba reminded me of Angkor Wat in Cambodia. Old ruins overgrown by the jungle. Even it was a little crowded with bikes and people I really think this ruin is worth the visit! This archeological site may formerly known as Zama, meaning City of Dawn, because it faces the sunrise. 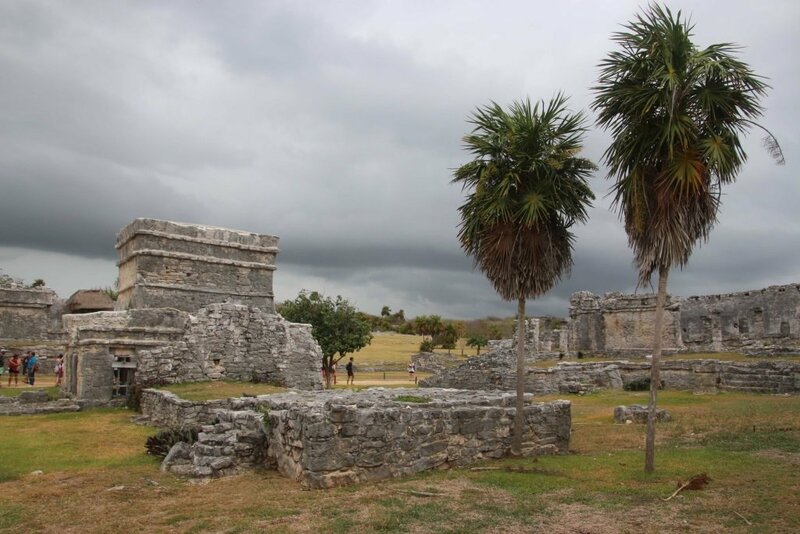 The first signs of settlement Tulum are from 564 AD, but the city got more lively around 1100 and 1500 centuries. 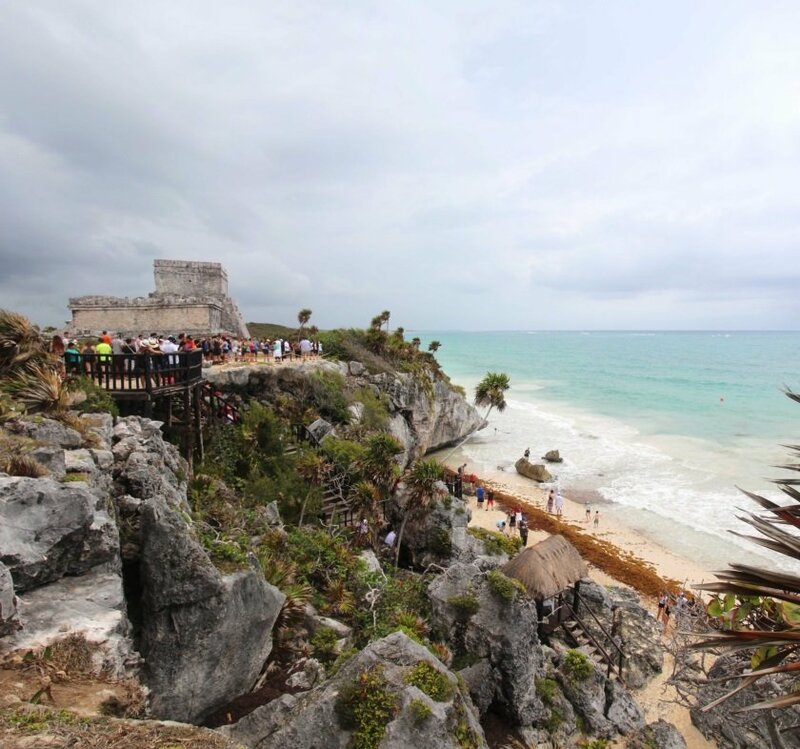 Due to it settlement on a 12 meter tall cliff next to the ocean Tulum is now a popular tourist destination. With only 1-1.5 hours from Playa del Carmen and Cancun, Tulum is a very popular tourist destination. Busloads of tourist coming day in day out, all day long! To be honestly; I think it is not really worth a visit. 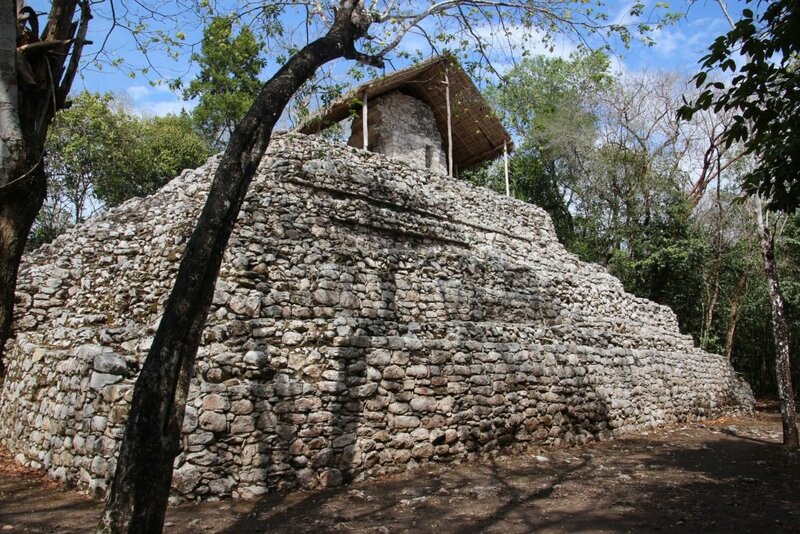 Buildings are ruins not like the pyramids I have seen in Chitzen Itza, Coba and Ek Balam and only the settlement is nice. Maybe with a guide it would have been more interesting. The parking fee is outrageous! Parking fee: 180 Pesos on the official parking lot. If you park on a parking lot closer to the road, you pay 100 Pesos. What do I think after the trip? After all those amazing historical sites I had to overthink it a little when I got back home. All Maya ruins are nice to visit, but Tulum wasn't what I expected. Maybe the weather forecast was too bad, it basically rained all day, but I just thought it was too crowded and the parking fee was way to steep! My favorites are Coba and Kabah. Coba for the jungle ruins experience. I didn't know what to expect after every tree. And Kabah for its lovely details and because it was cheap and quiet.